You know you’re at a bona fide prog show when the singer disappears from the stage for extended periods of time while the band does its thing. This is not to say that Dream Theater vocalist James LaBrie is any less vital than any other member of the band, just that he knows when to get out of the way and let the band rip out some extended solos and show off their instrumental prowess. And the band did just that over the course of pretty much three hours, much to the delight of their dedicated fanbase. Dream Theater are currently on the Images, Words & Beyond Tour, celebrating 25 years since the release of probably their best known album, Images and Words. Along with playing that album in its entirety, the band also played a few selections that were written around the same time as the songs off that album and closed the show off with an encore of “A Change Of Seasons,” which was recorded at the same time as Images and Words. Following the first part of their set, the band took a short break and returned to the stage to showcase the album they were touring behind, with the opening trifecta of tunes from that album – “Pull Me Under,” “Another Day” and “Take The Time” – standing out as the highlights. 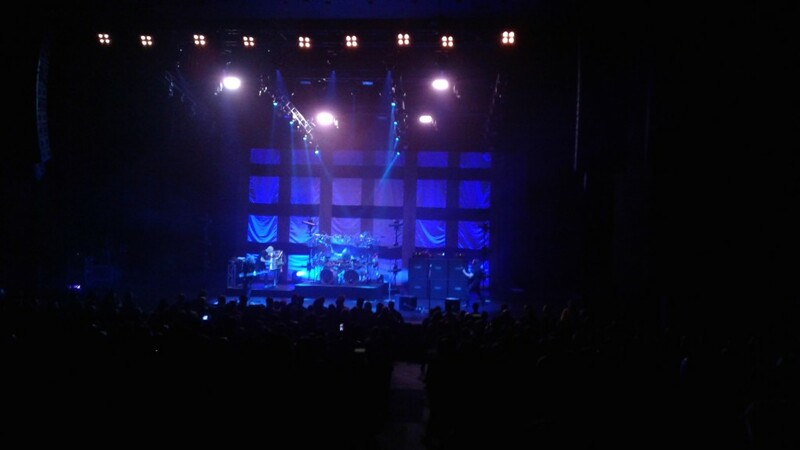 But before they took to the stage, a short medley of hits from 1992 played over the speakers and it really highlighted how Dream Theater stood out from the music of that era. Sir Mix-a-Lot, Billy Ray Cyrus, Pearl Jam, Alice In Chains, Nirvana, En Vogue – some of the biggest hit makers of the day and none of them really had much in common with Dream Theater. Sure, “Pull Me Under” did manage to make it into the Top 10 on the rock charts back then so I guess it was also a bit of a hit, but you couldn’t exactly say that Dream Theater were peers with any of these other artists and they certainly weren’t among the most popular acts at the time. Then again, the kind of progressive metal that Dream Theater trades in has never really been considered all that cool, which is probably why it still holds up today.